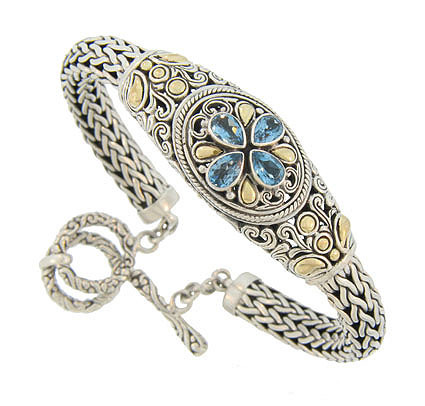 Intricate scrollwork, engraving and abstract floral figures embellish the surface of this sterling silver antique style bracelet. 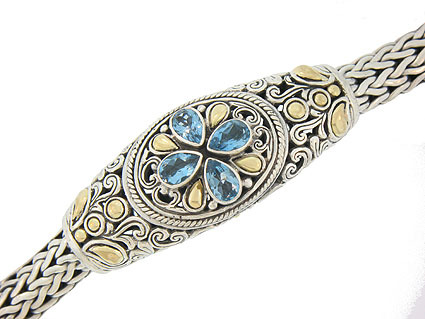 A quartet of rich blue aquamarines are set into a floral pattern at the center of the elegant design. Rich 18K yellow gold highlights this romantic design. 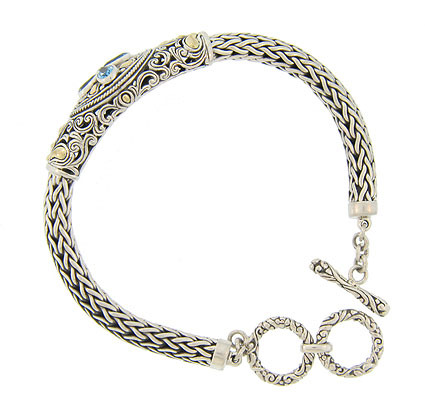 The side of this handsome bracelet are crafted of woven braids of silver and finished with adjustable ring closures. The bracelet will fit a 7" to 8" wrist.